This is my learning log for TAOP exercise 2-7, “Implied lines”. The exercise consists of three parts. Part 1 was to look at two photographs and identify the implied lines in each. 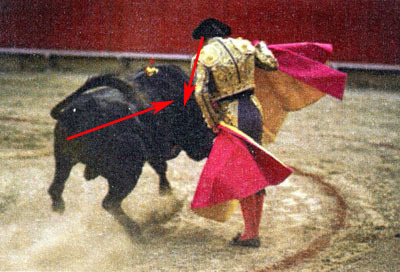 The movement of the bull creates an implied line going diagonally from the lower left corner into the centre of the picture, and the toreador’s head, although we can’t see his eyes, creates an implied eye-line going almost vertically down. 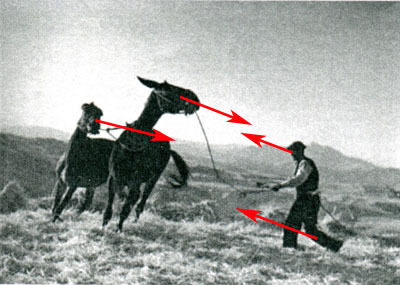 The strongest implied lines in this photo are from the horses looking towards the man, and from the man looking towards the horses. Additionally I perceive a forward movement of the man which creates an additional line towards the centre of the picture (despite logic telling me he would be walking backwards pulling the horses). The second part of the exercise was to pick any three of my own pictures and perform the same analysis. I must admit that rather than picking “any” pictures, I made sure to pick some with implied lines. Each picture is available in a large version here. 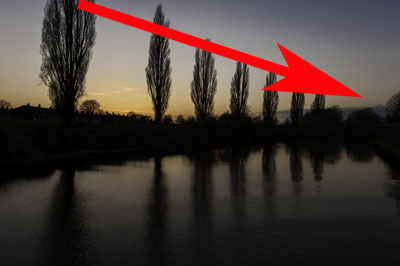 On this picture of the River Ouse, the trees on the left bank appear smaller and smaller as the eye move towards the horizon. This creates a strong diagonal line to lead the eye. 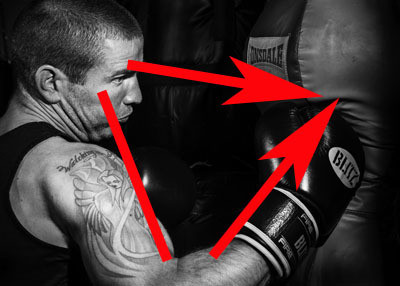 On this picture of amateur boxer Ali from Lions Boxing and Fitness, a triangle is formed by the lines of his bicep, the forward movement of his underarm and the implied line from his eye towards the point on the punchbag he is has just hit. 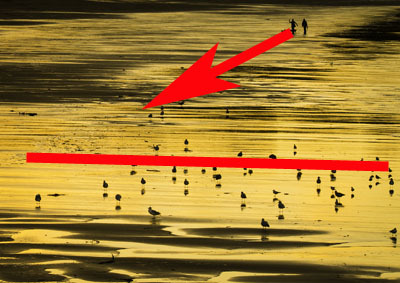 The birds in the foreground form a vertical line across the picture, and the two walkers with their dogs create an implied diagonal line by their (appearance of) movement. The third and last part of the exercise was to take two photographs; one with an eyeline and one with an implied lines made up of the extension of a line. Each picture is available in a larger version here. 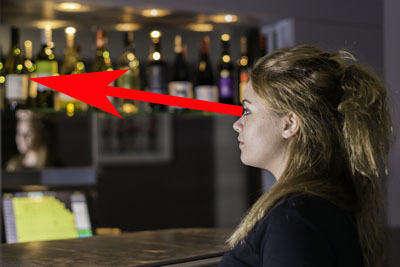 Laura looks at the bottles behind the bar, but her gaze goes beyond the frame of the image. 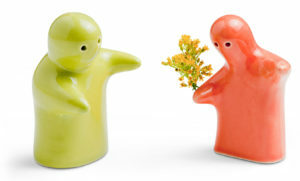 This creates a tension, as the viewer is unable to see what exactly she’s looking at. 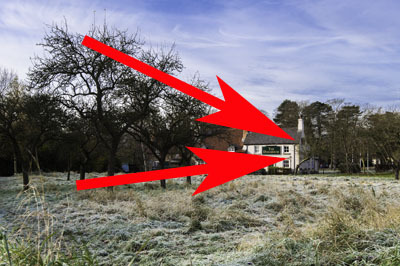 The leaf-less trees in front of The Dormouse creates a leading line that takes the viewer “into” the image to the pub. In fact, the trees make two separate lines – one formed by their trunks, and another by the bulk of their branches.